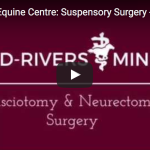 A neurectomy, also known as “nerving”, is a surgical option to relieve pain in horses associated with navicular disease, a degenerative disease of the horse’s heel. This procedure is often performed when other treatment options like shoeing changes and injections can no longer control the horse’s pain. Dr Tim Ellis performing a neurectomy. A neurectomy involves removing both the lateral and medial palmar digital nerves on the back of the pastern. This means the horse will lose the feeling in its foot. This surgery is considered a measure of last resort. It does not correct navicular disease—it merely removes the pain. Horses can expect 1-4 years of pain management and it is not considered a permanent fix as the nerves can grow back. After surgery, the horse will be able to go back to work in as little as four weeks. You will need to pay extra attention to your horse’s feet and check them daily, as they will be numb and prone to injury. In the meantime, it is important to follow up with your veterinarian to be sure your horse is healing correctly. Is My Horse A Candidate For A Neurectomy? 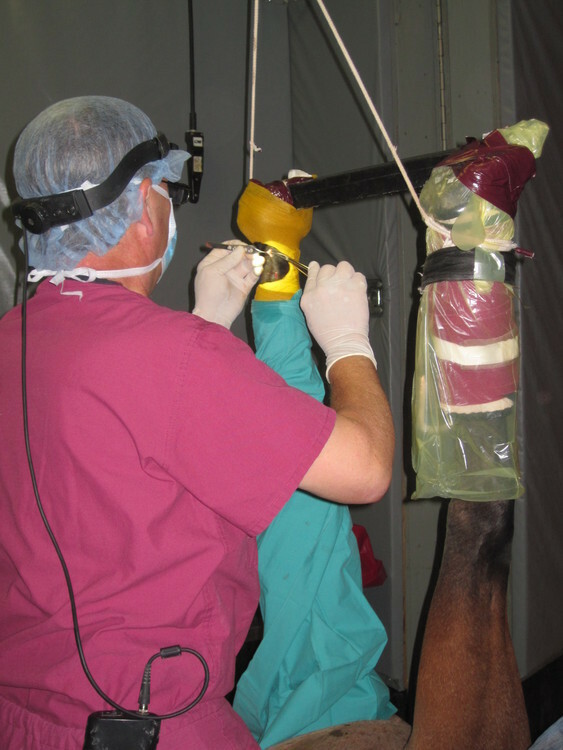 As with any procedure, it is vital that you discuss your horse’s needs with your veterinarian. They can help you make a decision that is in your horse’s best interest.